"When people complain about low turnout in some demos, it’s not because communities are apathetic, it’s bc they don’t see you fighting for them," Ocasio-Cortez wrote. "If we don’t show up for people, why should you feel entitled to their vote?" "It’s time to do that," said Sorkin, a longtime Democrat who created the popular show "The West Wing" about a Democratic administration. "I think there’s great opportunity here, now more than ever, for Democrats to be the non-stupid party." 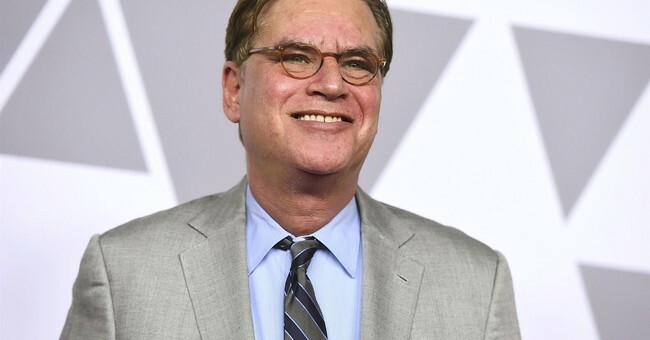 Is Aaron Sorkin implying here that transgender rights are a distraction?" LGBTQ advocate Charlotte Clymer tweeted in response to the video of Sorkin. "Because it seems to me he's saying that." We have to endure two more years of this. Of course, Sorkin isn’t transphobic, homophobic, or whatever far left loons think he’s trying to project here, but I’ll let them claw at each other while the going is good. And for the record, yes, Medicare for All is a dumb idea. No one knows how to pay for it. It would economically ruin the country, and even if we tax everyone’s money, even those at the tippy tops, it wouldn’t be enough to have a solvent system. And to tax, everyone to death in order to give universal but sub-par health care within a financially unsustainable system seems pretty…stupid.